The Faith Angle Forum held its semi-annual Conference on Religion, Politics & Public Life from May 3-5, 2015, in South Beach, Florida. The series brings together a select group of nationally respected journalists and distinguished scholars for in-depth discussions of cutting-edge issues at the intersection of religion and public life. Under the leadership of Michael Cromartie, Vice President at the Ethics and Public Policy Center, the Faith Angle Forum provides extended discussion and the kind of deep reflection that is not always possible in today’s fast paced world of breaking news. 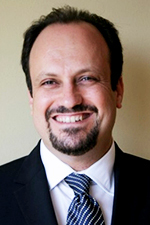 Bernard Haykel is Professor of Near Eastern Studies at Princeton University where he also is Director of The Institute for the Transregional Study of the Contemporary Middle East, North Africa, and Central Asia. Haykel’s primary research interests center on Islamic political movements and legal thought as well as the politics and history of Saudi Arabia and Yemen. His first book (Revival and Reform in Islam) is a study of a major Islamic reformist scholar, Muhammad Shawkani. Haykel is presently completing a second book on the global Salafi movement as well as an edited volume on contemporary Saudi Arabian politics and culture. He will soon turn his attention to writing a monograph on the modern history of Saudi Arabia for which he received the Guggenheim Fellowship. Haykel obtained his doctorate in 1998 from the University of Oxford and is the recipient of various awards including the Prize Fellowship at Magdalen College, Oxford, the Ryskamp Fellowship of the American Council of Learned Societies, and a Carnegie Corporation Fellowship. 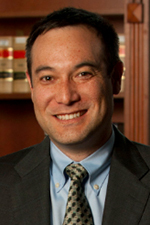 John Inazu is Associate Professor of Law and Political Science at Washington University School of Law in St. Louis and an affiliate faculty member of the John C. Danforth Center on Religion and Politics. Professor Inazu’s scholarship focuses on the First Amendment freedoms of speech, assembly, and religion, and related questions of legal and political theory. His first book, Liberty’s Refuge: The Forgotten Freedom of Assembly (Yale University Press, 2012), seeks to recover the role of assembly in American political and constitutional thought. He is the special editor of a volume on law and theology published in Law and Contemporary Problems. Professor Inazu’s work is also published in the Cornell Law Review, Southern California Law Review, Minnesota Law Review, Illinois Law Review, William & Mary Law Review, North Carolina Law Review, Hastings Law Journal, and a number of other law reviews and specialty journals. Professor Inazu is the chair of the Association of American Law Schools’ section on law and religion. In 2014, he was named the law school’s David M. Becker Professor of the Year. In 2014-2015, he will be a Visiting Faculty Fellow at the Institute for Advanced Studies in Culture at the University of Virginia. Prior to joining the law faculty, Professor Inazu was a visiting assistant professor at Duke University School of Law and a Royster Fellow at the University of North Carolina at Chapel Hill. He clerked for Judge Roger L. Wollman of the U.S. Court of Appeals for the Eighth Circuit and served for four years as an associate general counsel with the Department of the Air Force at the Pentagon. He received his JD from Duke University and his PhD in Political Science from UNC Chapel Hill. 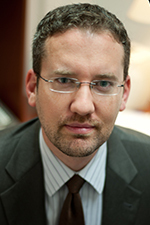 Will McCants is a fellow in the Center for Middle East Policy at The Brookings Institution and director of its Project on U.S. Relations with the Islamic World. He is also adjunct faculty at Johns Hopkins University and has held various government and think tank positions related to Islam, the Middle East, and terrorism. From 2009-2011, McCants served as a U.S. State Department senior adviser for countering violent extremism. McCants is the author of numerous articles on Islamist politics and terrorism, including the headlining article of Foreign Affairs’ 9/11 Tenth Anniversary Edition. He also edited the Militant Ideology Atlas, which identified the key ideologues in the global jihadi movement, and also translated, from Arabic into English, a book written by an al Qaeda strategist. His book, Founding Gods, Inventing Nations: Conquest and Culture Myths from Antiquity to Islam, traces the history of cultural debate in the Middle East after the Greeks, Romans and Arabs conquered the region. He is working on a second book about the scriptural history of the Koran. McCants has a Ph.D. from Princeton University and has lived in Israel, Egypt and Lebanon. 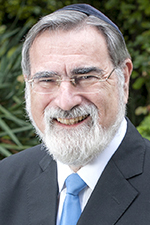 Rabbi Lord Jonathan Sacks served as Chief Rabbi of the United Hebrew Congregations of the Commonwealth of Great Britain between September 1991 and September 2013, only the sixth incumbent since the role was formalized in 1845. A global religious leader and philosopher, Rabbi Lord Jonathan Sacks is currently the Ingeborg and Ira Rennert Global Distinguished Professor of Judaic Thought at New York University and the Kressel and Ephrat Family University Professor of Jewish Thought at Yeshiva University. He has also been appointed as Professor of Law, Ethics and the Bible at King’s College London. Described by former British Prime Minister Tony Blair as “an intellectual giant”, Rabbi Sacks holds 16 honorary degrees, including a Doctor of Divinity conferred to mark his first ten years in office as Chief Rabbi, by the then Archbishop of Canterbury, Lord Carey. In recognition of his work, Rabbi Sacks has won several international awards, including the Jerusalem Prize in 1995 for his contribution to diaspora Jewish life and The Ladislaus Laszt Ecumenical and Social Concern Award from Ben Gurion University in Israel in 2011. He was knighted by Her Majesty The Queen in 2005 and made a Life Peer, taking his seat in the House of Lords in October 2009. The author of 25 books, Rabbi Sacks has published commentaries to the daily Jewish prayer book (siddur) and has completed commentaries to the Rosh Hashanah, Yom Kippur and Pesach festival prayer books (machzorim) to date. His most recent secular book – The Great Partnership: God, Science and the Search for Meaning – was published in July 2011. A number of his books have won literary awards, including the Grawemeyer Prize for Religion in 2004 for The Dignity of Difference, and a National Jewish Book Award in 2000 for A Letter in the Scroll. Covenant & Conversation: Genesis was also awarded a National Jewish Book Award in 2009, and the Koren Sacks Pesach Machzor won the Dorot Foundation National Jewish Book Award for Modern Jewish Thought and Experience for 2013. Rabbi Sacks attended Gonville and Caius College, Cambridge, receiving honors in philosophy. He continued his studies at New College, Oxford, and King’s College London, where he earned his doctorate in 1981. The same year he was ordained at Jews’ College and at Yeshiva Etz Chaim, both in London. Before taking the post of Chief Rabbi, he also was Principal of Jews’ College, the world’s oldest rabbinical seminary. In 1970, Rabbi Sacks married his wife, Elaine, and they have three children, Joshua, Dina and Gila and several grandchildren.